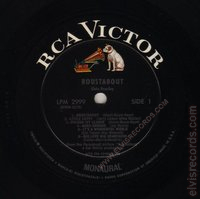 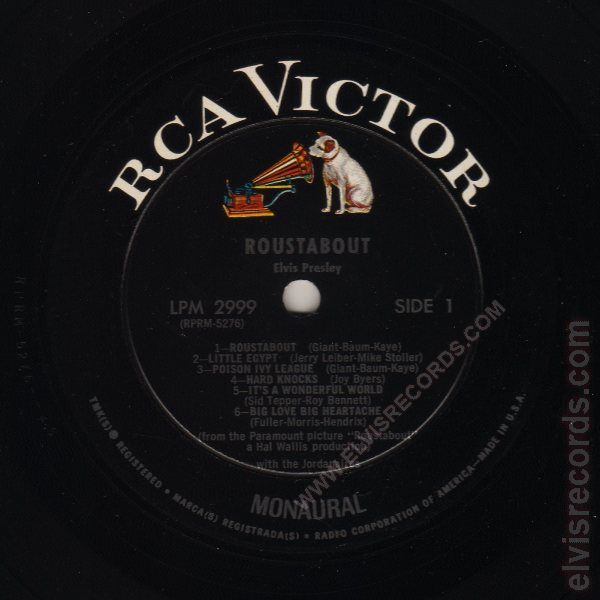 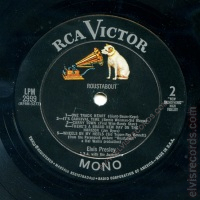 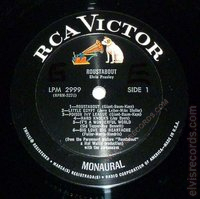 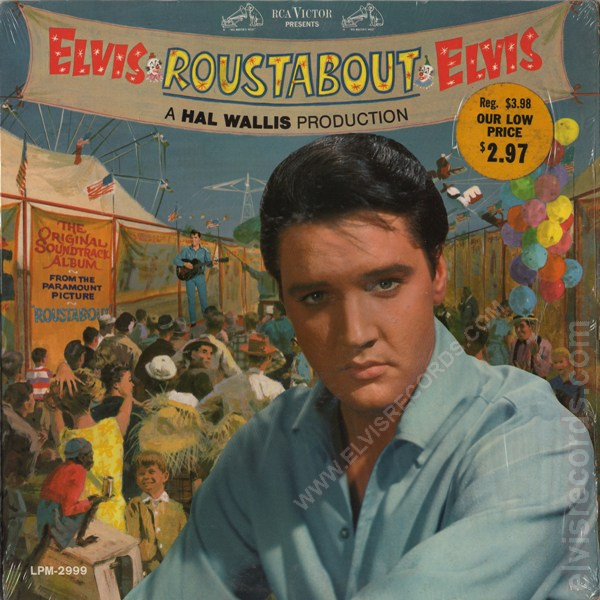 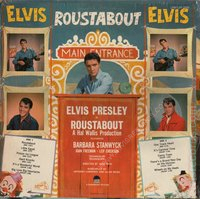 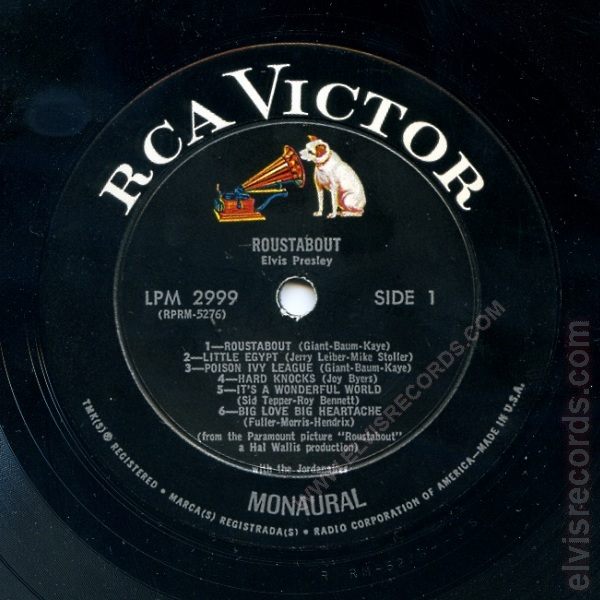 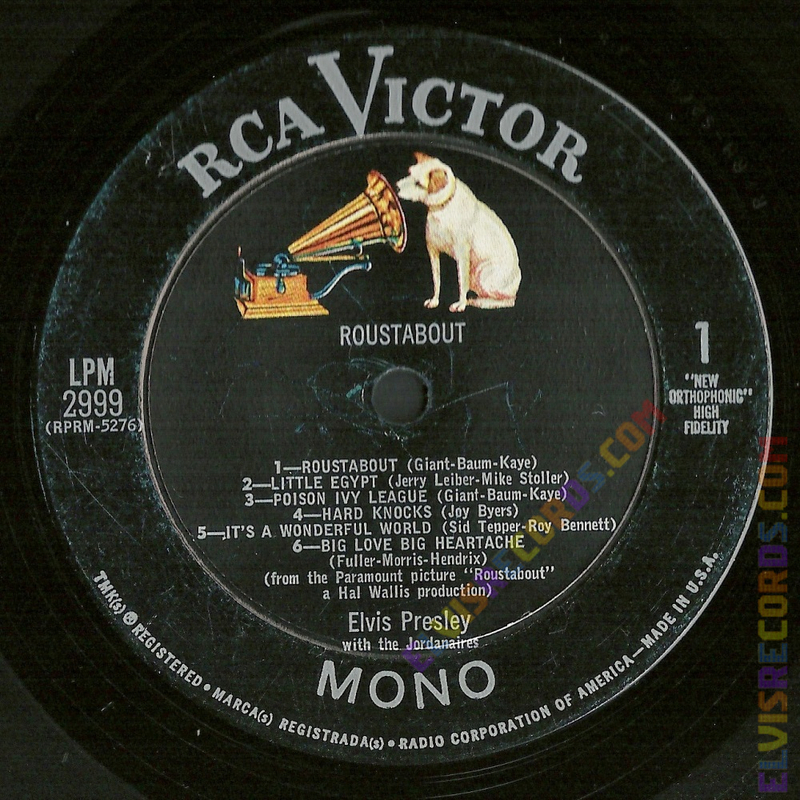 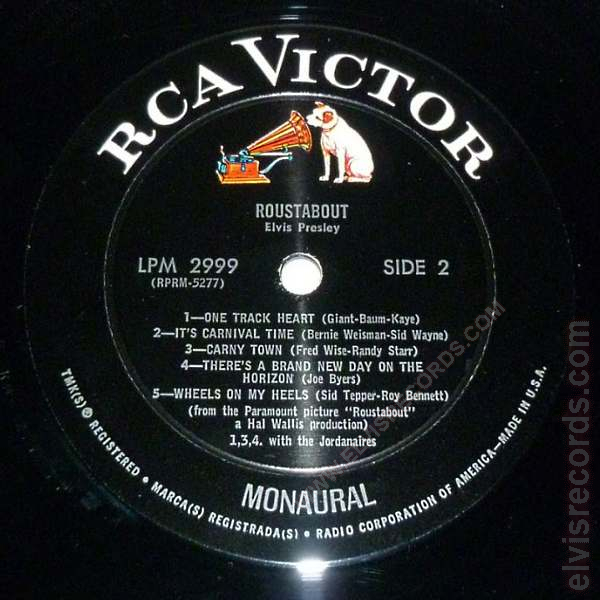 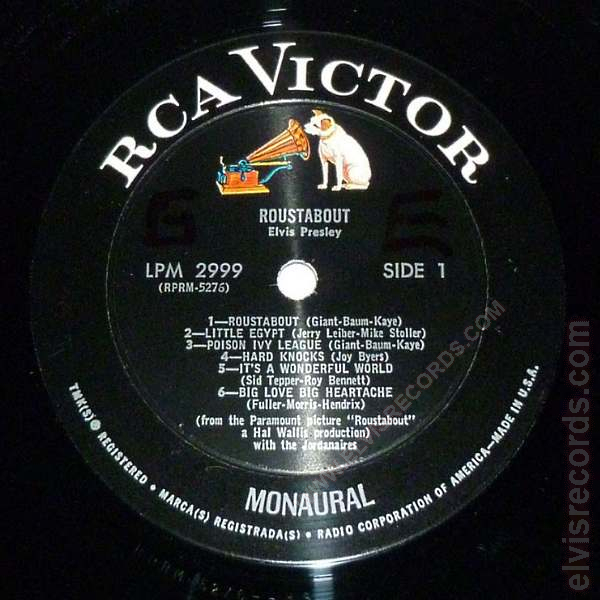 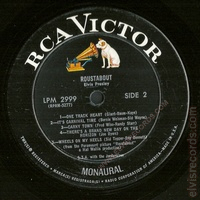 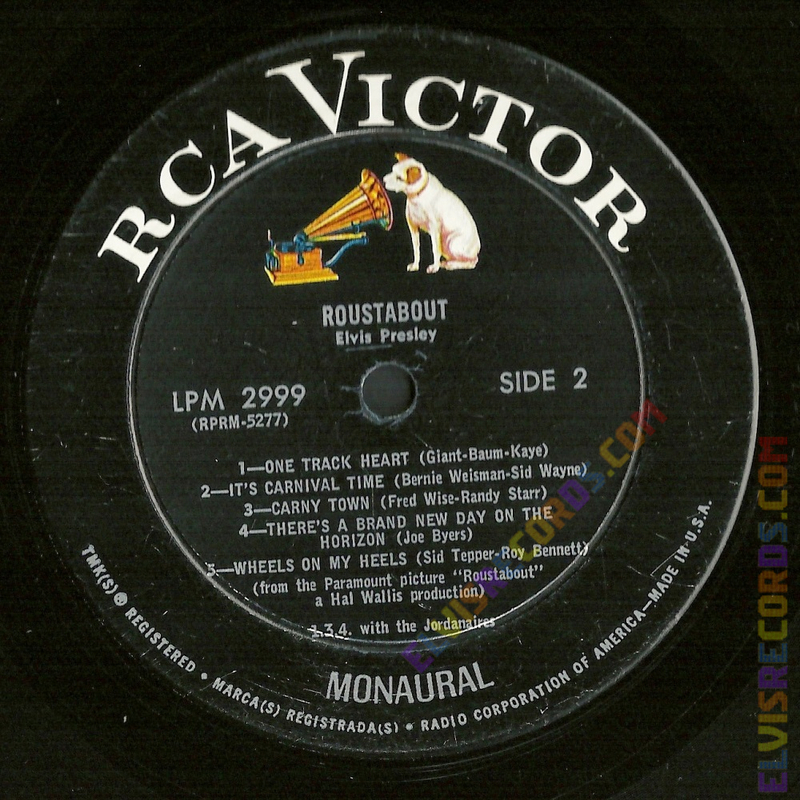 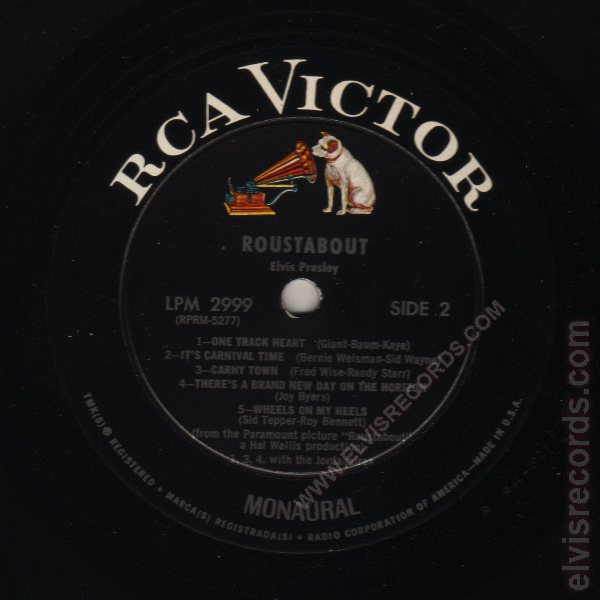 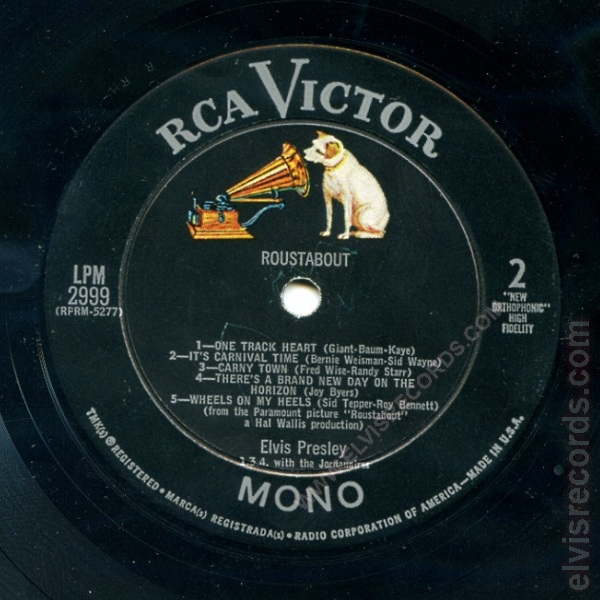 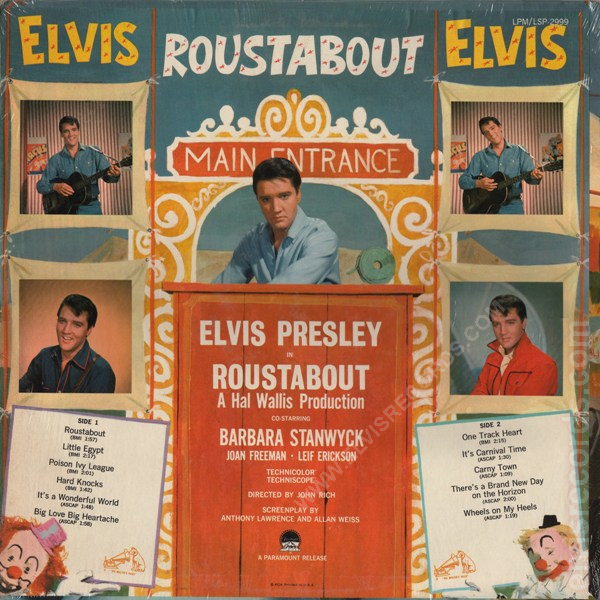 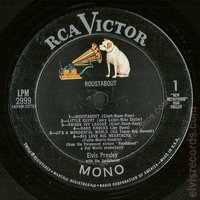 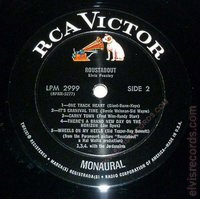 Cover Front:RCA Victor logo top centered and number at bottom left. Joy Byers and Bob Johnson were a husband and wife team. 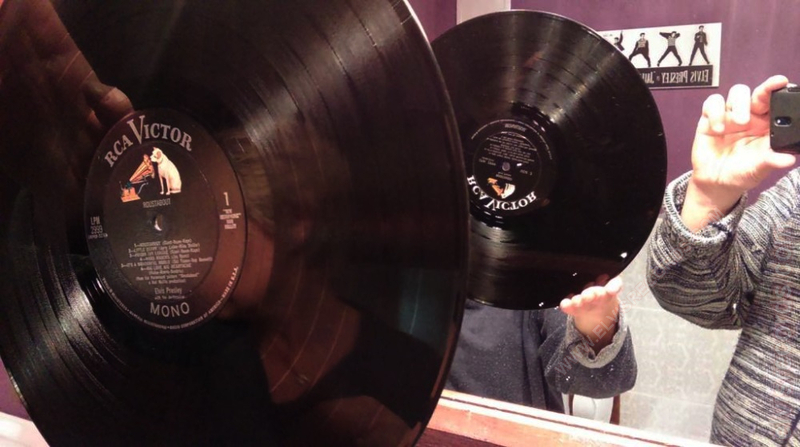 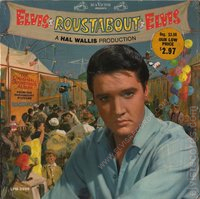 Bob Johnson wrote as pseudonym Joe Byers.11 While that may be the case, the official RECORDING INFORMATION worksheet for the song, THERE'S A BRAND NEW DAY ON THE HORIZON, has Joy Byers credited.12"
Also released in stereo as LSP-2999 Roustabout.